Joanne M. Kauffman, 73, a resident of Wildwood, passed away Wednesday May 28, 2014. She was born April 12, 1941 in Chicago, IL to Thomas and Helena Griffin. Joanne was a member of St. Gilbert Catholic Church. She loved her children, grandchildren, and her great-grandchildren very much. She loved Ron always and tried to do her best by everyone. Joanne is survived by her husband, Ron, her children Cindy Edwards, Ron (Darlene), Scott, Dale (Coreena), Chuck (Mitzy), Laura (Jack) Danner, and Ed, her 12 grandchildren, her 3 great-grandchildren, and her sister Maureen (Gary) Pospichel. She was preceded in death by her parents, her brother Tom, and her nephew Tom. Friends of the family may visit from 10:00am to 12:00pm on Monday, June 2, 2014 with the funeral service commencing at 12:00pm at STRANG FUNERAL CHAPEL & CREMATORIUM, 410 East Belvidere Road, Grayslake, IL 60030. Interment will follow at Highland Memorial Park in Libertyville, IL. In lieu of flowers donations may be made to the American Cancer Society 100 Tri-State Intl Ste 125 Lincolnshire, IL 60069 or Advocate Hospice 365 Surryse Rd. Lake Zurich, IL 60047. For information, please call 847-223-8122 or log on to www.strangfuneral.org. Charles M. Art, 72, a resident of Antioch, IL, passed away May 21, 2014 in Libertyville, IL. He was born August 5, 1941 in Chicago, IL. Charles was a member of St. Peter Church in Antioch, the AMVets Post 66, and Moose Lodge 525. He was a US Army Veteran and had retired a telephone/telecom repair man. Charles is survived by his wife Jonna Art, whom he wed on July 26, 1969, his sons Brian and Kevin, and his grandchildren Makayla, Brien, Alex, Rylan, Kalie, Griffin, and Delaney. Friends of the family may visit from 1:00pm to 4:00pm on Saturday, May 31, 2014 with the memorial service commencing at 4:00pm at STRANG FUNERAL CHAPEL & CREMATORIUM, 410 East Belvidere Road, Grayslake, IL 60030. Interment will be private. In lieu of flowers donations may be made to the Veteran’s Association or to the Alzheimer’s Association. For information, please call 847-223-8122 or log on to www.strangfuneral.org. Maria De Jesus Villarreal, a resident of Mundelein, passed away Sunday May 25, 2014 at the age of 78. She was born October 29, 1935 in Vallecillo, Mexico to Esteban and Victoriana (nee Ramon) Gallegos. Maria loved to cook, sew, garden, and her little dog Katie. Most of all she cherished and loved her family. Maria is survived by her husband of 60 years, Enrique, whom she wed on May 28, 1954 in La Gloria, Vallecillo N.L. Mexico. Friends of the family may visit from 4:00pm to 8:00pm on Tuesday, May 27, 2014 with the funeral service commencing at 8:00pm at STRANG FUNERAL CHAPEL & CREMATORIUM, 410 East Belvidere Road, Grayslake, IL 60030. Interment will be private. For information, please call 847-223-8122 or log on to www.strangfuneral.org. Winnie Ziegler, 97, of Libertyville IL, passed away on May 19th at Advocate Condell Hospital in Libertyville. After a long and bountiful life, Winnie passed away Monday evening of natural causes surrounded by family. Winnie was born in Valliant, Oklahoma to Hugh Larkin Belk and Inez Foster Belk on December 3, 1916. She was one of seven children. Winnie was preceded in death by her daughter Carolyn Main. Winnie is survived by husband Larry Ziegler, stepchildren, grandchildren, and great grandchildren. Winnie enjoyed her last years with her husband Larry and their friends at the Spring Meadow assisted living facility. Before settling down with Larry, Winnie lived an adventurous early life. She spent most of her years traveling and enjoying all life had to offer. She loved sight-seeing, nature and animals. Winnie represented the ideal lady. She was always dressed well, had her nails and hair done, and presented herself in a polite and delicate fashion. Winnie enjoyed the finer things life had to offer, but never hesitated to share them with her family and friends. She was a rare gift and she will be truly missed by all who knew her. Arrangements were entrusted to STRANG FUNERAL CHAPEL & CREMATORIUM, 410 East Belvidere Road, Grayslake, IL 60030. For information, please call 847-223-8122 or visit www.strangfuneral.org. Curtina “Tina” Danielson, 66, a resident of Mesa, AZ and formerly of Wildwood, passed away Tuesday May 20, 2014. She was born November 6, 1947 in Louisville, IN to Curtis and Mary Raeinhardt. Tina enjoyed making children’s cloth books and sold them at craft fairs. She attended Velda Rose Methodist Church and former member of Wildwood Presbyterian Church. Tina is survived by her husband of 44 years, Doug, her mother Mary Raeinhardt, her children Douglas (Michelle) and Sheryl (Greg) Snow, her grandchildren Doug Jr., Dakota, Gabrielle, Curtis, and Alyssa, and her sister Rita (Sam) Stephens. She was preceded in death by her dad Curtis. A visitation is scheduled for Saturday May 24, 2014 from 1:00pm until 3:00pm with the service commencing at 3:00pm at Strang Funeral Chapel & Crematorium 410 E. Belvidere Rd. Grayslake, IL 60030. The interment will be held privately. In lieu of flowers memorial donations may be made to the Tina Danielson Family. For more information please call (847)223-8122 or log onto www.strangfuneral.org. Jim (James) M. Swan, age 53, of Grayslake, passed away Monday, May 19, 2014 at his home. He was born August 10, 1960 in Chicago to Jerry and Arleen (nee Cox) Swan. Jim was an avid Blackhawks fan, who loved to ride his Harley, liked to play golf, loved his bulldogs and his salt water tanks; but, most of all, he loved and cherished his family. He is survived by his daughters, Brittany of Lakemoor and Paige of Grayslake; grandchildren, Caden and Chloe of Lakemoor; and his siblings, Carol (Paul) Janucevic of Scottsdale, AZ, Joanne of Tomah, WI, Robert Madson of Round Lake Beach, and Marleen Lundberg of Minnesota. He was preceded in death by his parents and one brother, Jerry. Friends of the family may visit from 5:00pm to 7:00pm on Friday, May 23, 2014 with the funeral service commencing at 7:00pm at STRANG FUNERAL CHAPEL & CREMATORIUM, 410 East Belvidere Road, Grayslake, IL 60030. Memorials contributions may be made to Save-a-Pet or to the Northern Illinois Food Bank. For information, please call 847-223-8122 or log on to www.strangfuneral.org. Jeanette “Jeanie” Jonker, 60, a resident of Spring Grove, passed away May 16, 2014 at her home. She was born October 2, 1953 in Libertyville to Ernest and Veda (nee: Long) Floyd. Jeanette dedicated her life to her family and caring for others. She attended the Crosspoint Church. Jeanette is survived by her children Rachel of Arlington Heights, Alicia of Round Lake, Nick of Chicago, her parents Ernest and Veda Floyd of Spring Grove, the children’s father Joe Jonker, her grandson Wyatt of Round Lake, her siblings Betty (Diane) of Santa Rosa, CA, Ken (Rina) of Fox Lake, and Gary (Jenise) of Salem, WI. A visitation is scheduled for Thursday May 22, 2014 from 4:00pm until 8:00pm at Strang Funeral Chapel & Crematorium 410 E. Belvidere Rd. Grayslake, IL 60030. The funeral service will be held on Friday May 23, 2014 at 10:00am at the funeral chapel. Interment will follow at Avon Centre Cemetery in Grayslake, IL. In lieu of flowers please make donations to the Lurie Children’s Hospital 225 E. Chicago Ave. Chicago, IL 60611. For more information please call (847)223-8122 or log onto www.strangfuneral.org. Rosalind (“Roz”) Forrence Carpenter 86, passed away peacefully in her home in Grayslake IL, on May 15, 2014. Rosalind was born May 4, 1928 in Plattsburgh NY to Virgil H. Forrence and Helen R. Forrence. The fourth of five children, she grew up on an apple farm in Peru NY known today as Forrence Orchards. She graduated from Russell Sage College 1950 in Troy, NY. It is here that she met her husband William J. Carpenter. They were married February 22, 1950. Together they made a life traveling and living in many cities, mostly on the East coast. It was while settling in many cities that she showed her interior design talents while creating many beautiful homes in the New York City area, Boston, Washington, DC and Nantucket. She is preceded in death by her husband William J. Carpenter of 47 years, grandson James Burfisher, and brothers Roger Forrence and Virgil Forrence. She is survived by her three children: daughters Deborah Burfisher (William) Wilmette IL, Donna Featherstone (William), Argyle, TX, and William Carpenter (Diana), Grayslake IL. Rosalind is also survived by had three grandchildren Christopher Featherstone (Cara), Keller TX, Susan Kennedy (Ryan), Lewiston TX, and John Burfisher, Fort Myers FL. Rosalind is also survived by her three great grandchildren, Dylan Featherstone and Eva Featherstone and Jameson Kennedy, as well as her sister, Jean Pritchard and brother William Forrence (Marjorie). Arrangements to honor Rosalind will be made in Nantucket, MA. In lieu of flowers donations may be made to Vitas Hospice in Lombard Il. Lois M. Beasley, 82, a resident of Grayslake, passed away May 16, 2014. She was born February 12, 1932 in Gasconade, MO to Henry and Una AufderHeide. 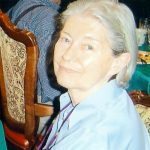 Lois was a longtime resident of Millburn and lived many years in Grayslake. She was a member of Millburn Congregational Church and had retired from Baxter Laboratories. Lois is survived by her husband of 63 years, Robert G. Beasley and her children Bonnie of Gurnee, and Michael of Bristol, WI. She was preceded in death by her parents and her son Robert. A visitation is scheduled for Tuesday May 20, 2014 from 12:00pm until 1:00pm with the service commencing at 1:00pm at Strang Funeral Chapel & Crematorium 410 E. Belvidere Rd. Grayslake, IL 60030. The interment will follow at Millburn Cemetery in Millburn, IL. In lieu of flowers memorial donations may be made to the Grayslake Rescue Squad. For more information please call (847)223-8122 or log onto www.strangfuneral.org. 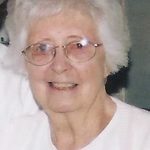 Lynette Muriel (nee: Duell) McNeill, 95, passed away peacefully after a long illness, on Thursday May 15, 2014 at the family home her husband Roy built in Lake Villa, IL in the 1960’s. Born in Gages Lake, IL as the first daughter of six children to Jennie and Jeremiah Porter Duell of Grayslake, IL , she graduated Libertyville Township High School in 1937 and attended one year at North Park College in Chicago. Prior to her marriage, she worked at the Frank G. Hough Company in Libertyville and for the Grayslake Gelatin Factory. She married Roy Joseph McNeill on June 22, 1946 at the Grayslake Congregational Church on Center St. and was a life member of the United Protestant Church in Grayslake. Lynette was an avid genealogist, taking many trips to find her long-lost relatives. She was a member of the Order of the Eastern Star in Grayslake, and also a member of the Ansel Brainerd Cook Chapter of the National Society of the Daughters of the American Revolution. She worked many years as a substitute teacher in the immediate area of her home in Lake County and received her Bachelor’s Degree from Carthage College in Kenosha in 1973. Lynette retired teaching from the Avon Grade School. She was preceded in death by her parents Jennie (nee: Halvorson) and J. Porter Duell, Sr. of Grayslake, her brother J. Porter Duell Jr. of Libertyville and sisters Audrey Duell Hall, Jean Duell Stickels both of Grayslake, Henrietta Duell (Floyd) Thibodeau of Appleton, WI, and Charlotte Duell Osborn Nelson of Rice Lake, WI. Lynette is survived by her children Marie L. (John) Bidney of Fairhope, AL, James R. (Cathy) McNeill of Lindenhurst, John D. (Mary Kay) McNeill of Antioch, William J. (fiancée Darcy Hertel) McNeill, her 6 grandchildren, 5 great-grandchildren, numerous nieces and nephews, and a loving caregiver Cveta. A visitation is scheduled for Monday May 19, 2014 from 4:00pm until 8:00pm at Strang Funeral Chapel & Crematorium 410 E. Belvidere Rd. Grayslake, IL 60030. The funeral service will be held on Tuesday May 20, 2014 at 10:30am at the funeral chapel. Interment will follow at Avon Centre Cemetery in Grayslake, IL. In lieu of flowers donations may be made to the Susan G. Kommen Foundation, the UP Church, or to Avon Centre Cemetery. For more information please call (847)223-8122 or log onto www.strangfuneral.org.